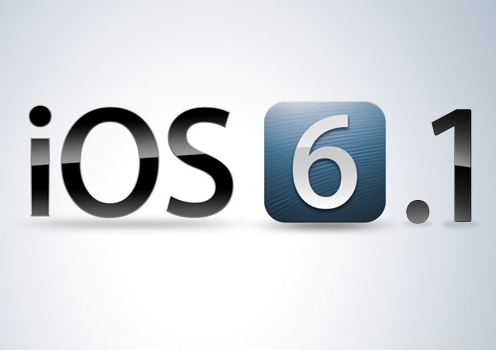 The latest iPhone, iPod touch and iPad software update is ready and its called iOS 6.1, released on Monday 28 January. Mostly concerned with tweaking existing functionality and fixing bugs than adding anything too dramatic to what you got with iOS 6. However, it does add a few bits and bobs, so let’s take a closer look. The most significant change in iOS 6.1 is that LTE support has been increased adding LTE capabilities to 36 additional iPhone carriers and 23 additional iPad carriers around the world, so even more iPhone 5, iPad mini and iPad with Retina display users can experience ultrafast wireless performance to browse, download and stream content at blazing fast speeds. To date, iOS users have uploaded over nine billion photos to Photo Stream, sent over 450 billion iMessages and received over four trillion notifications. LTE is the type of 4G connectivity you’ll find in the iPad mini, iPad 4 and iPhone 5. Apple says that an additional 36 networks will now be able to offer 4G for iPhones, and an additional 23 networks for iPads. The iOS voice assistant is now able to plug into movie service Fandango to let you buy film tickets within Siri itself. According to Apple, those subscribing to iTunes Match can now download individual songs from iCloud, rather than just full albums. This will give you finer control over how much of your phone’s internal memory is taken up with your Match’d up tunes. Apple has introduced a new security option within iOS 6.1’s security menu. You can now manually reset your iOS device’s Advertising Identifier. This is the identifier that third parties can use to track your device to an extent, tailoring ads for you. Being able to reset it manually is rather like flushing the cookies in your computer’s browser. The revolutionary App Store offers more than 800,000 apps to iPhone, iPad and iPod touch users, with more than 300,000 native iPad apps. App Store customers have downloaded over 40 billion apps, and Apple has paid over seven billion dollars to its incredible developer community. Customers can choose from apps in 23 categories, including newspapers and magazines offered in Newsstand, games, business, news, sports, health & fitness and travel. When are you upgrading to iOS 6.1?